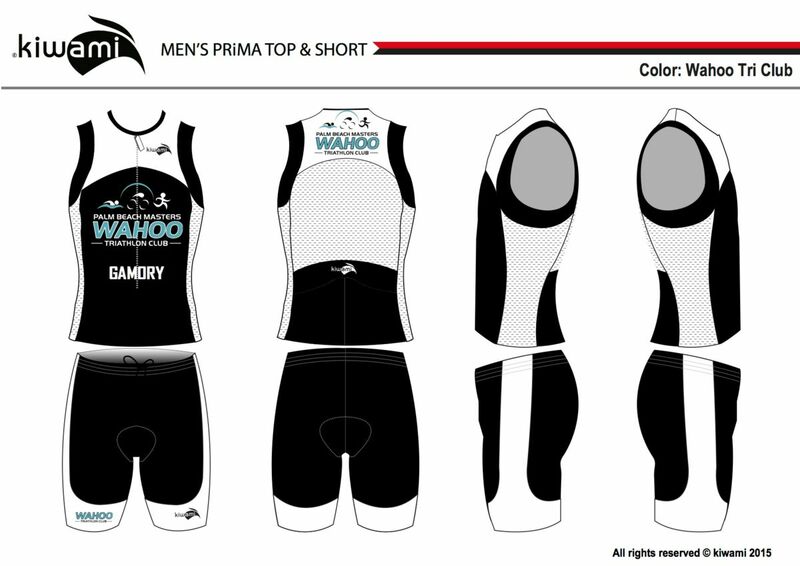 Wahoo Triathlon Club kits now! 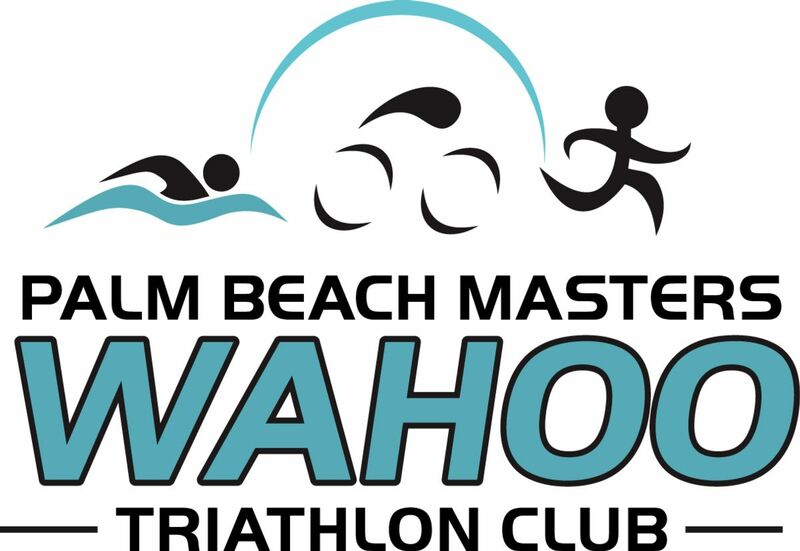 Wahoo Triathlon Club logo on front, sponsors on back. Top can be personalized with your name on the front. - Water repellent material; Extremely fast drying. 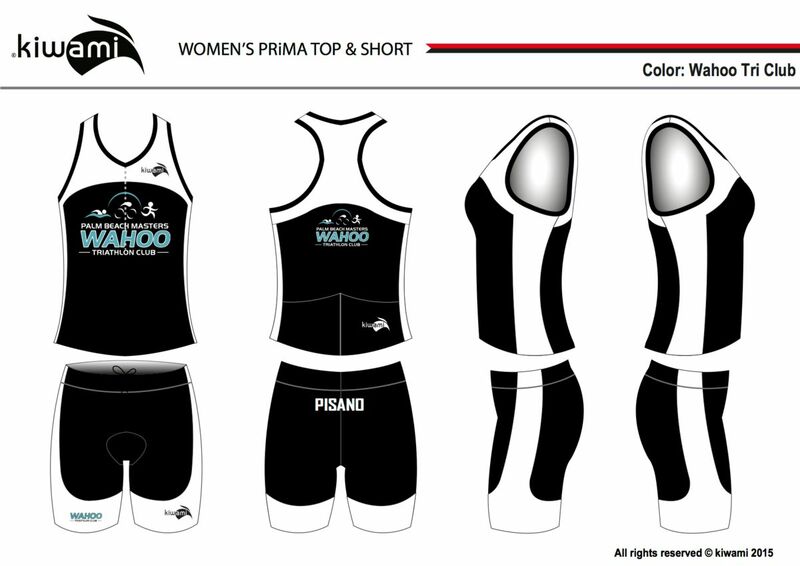 Good for long and short distances, athletes of all levels have adopted the Kiwami Prima Tri Top for its comfort, durability and great looks! Shorts can be personalized with your name on the back. You can count on the Kiwami Prima Tri Shorts to enjoy your next triathlon races, whether they are long distance or sprint triathlons. 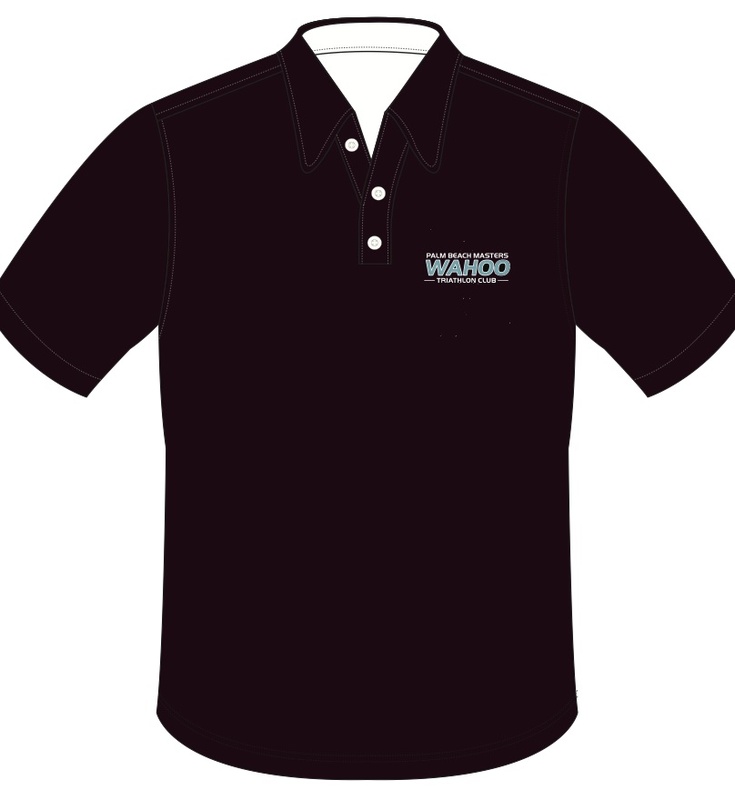 Unisex polo with moisture-wicking properties to keep you dry and comfortable. Super comfortable fit. UV protection provides added sun protection with a rating of 40+UPF. Wear it proudly before your Ironman, Olympic Distance or Sprint Triathlon, at the awards ceremony, or at the office on Casual Friday. If you are currently a Palm Beach Masters member (in our database), please use the Login below to access your account. You may be prompted to input a credit card on file, before you can go shopping.